It is always a treat to see bright autumn colour, yet occasionally the reverse happens. 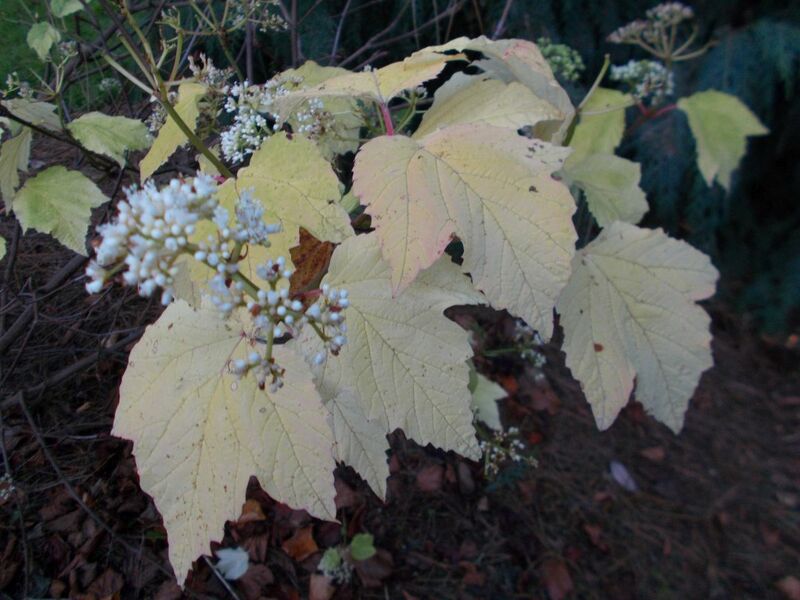 The colour has drained from the foliage of Viburnum orientale to such an extent that from a distance it has a ghostly presence. With white flower panicles desperately trying to look viable in our encroaching winter the foliage has bleached of all colour. 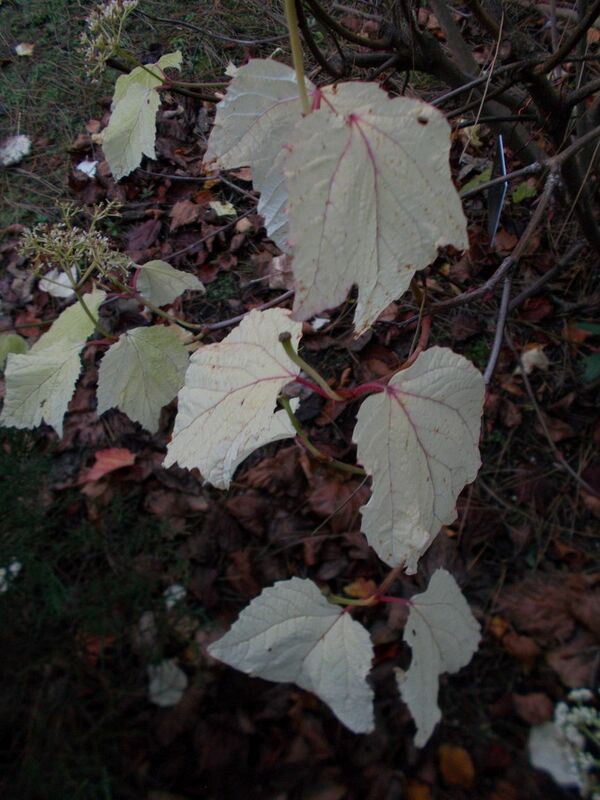 A native of west Asia, this plant originating from the steep mountainsides of Anatolian Turkey.